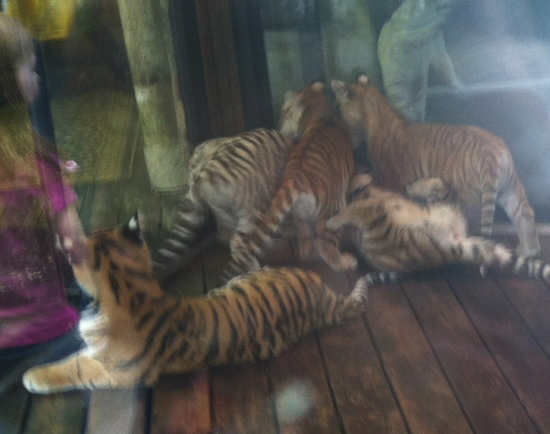 USDA cites for recurring problems with ringworm on the tiger cubs. Ringworm is easily spread from infected cubs to those who touch them. June 2016: Kevin Antle’s pay to play scheme is is involved in a federal investigation. The United States Department of Agriculture’s Animal and Plant Health Inspection Service has conducted 23 inspections at the facility since April 2013. A USDA spokeswoman told WMBF News APHIS typically visits a facility once a year. Businesses are visited more often if there is repeat noncompliance, or if complaints are filed. 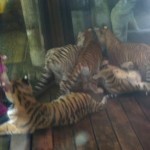 Exploiting tiger cubs. In our opinion, Kevin Antle (who calls himself “Doc” because he supposedly earned a doctor of natural sciences degree from the Chinese Science Foundation according to one report. Note that there does not appear to be a Chinese Science Foundation on the Internet) is one of the most notorious exploiters of tiger cubs in the country. 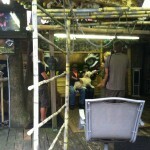 Antle operates two facilities in Myrtle Beach, SC that offer cub handling and photo ops for a fee. One is a retail location called Preservation Station in a tourist area of town near the beach. The other is his zoo or park. 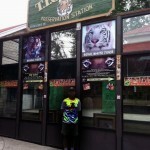 He incessantly breeds tiger cubs to use to make money at these locations. From what we are told by visitors, the cubs are taken to the retail location where they are subjected to being placed with and handled by person after person paying to have their photos taken with the cubs for a number of hours each day. Then the cubs are taken back to the zoo, where they are subjected to more handling and photos. Antle also takes cubs on the road to exhibit far from home at fairs or other venues, forcing the tiny cubs to ride long distances in a truck only to be handled by person after person for hours to make money. One visitor reported they were told by handlers that Antle starts using the cubs at 3 weeks of age, ignoring USDA guidance designed to protect the health of the cubs. Even so, there is only a brief period during which the cubs can be handled. So, Antle must steadily breed cubs to use in this money generating business. But, according to his USDA census, he only houses 51 tigers at his park. Where do all these cubs go when they are too old for him to use to make money? There is no way to know how many of these tigers end up living miserable lives in conditions compassionate people who care about animals would consider inhumane. Per the report by TRAFFIC, the worldwide organization that tracks trade in exotic animals, the lack of tracking of tigers in the U.S. means there is also no way to know how many tigers end up being slaughtered for their parts to make “derivatives” like alleged medicines and tiger bone wine. Visitors who have tried asking where the tigers end up tell us that they get evasive answers. According to one Animal Welfare Act violation case and “Animal Underworld,” Alan Green’s excellent book exposing the illegal trade in exotic animals, that two of Antle’s tigers ended up in the hands of Mario Tabruae. Tabruae was arrested in the late 80’s for heading a 10 year drug smuggling ring. His Zoological Imports business was featured in Green’s book. Some of Antle’s animals have ended up at GW Park in Oklahoma, another notorious exhibitor of tiger cubs. 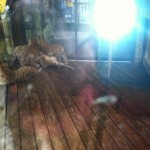 Unsafe exhibition of adult tigers – USDA lawsuit. Antle used to make money photographing visitors in close proximity to big cats with no barrier to protect the public. In 2005 the USDA told him he was violating the safety rule that prohibits exhibiting without sufficient distance and/or barriers between the animals and the public. Antle sued USDA claiming his procedures complied with the rules. His case was so lacking in merit that he lost on summary judgment. He then appealed, and lost again. In our opinion, the idea that someone could safely stand within touching distance of an adult big cat is absurd because there is no way any “handler” can restrain a big cat that decides to attack. Antle made his argument despite the fact that, according to reports, in 1991 one if his lions who was posing with a female model bit her head resulting in 50 stitches and a $75,000 civil suit judgment against him. 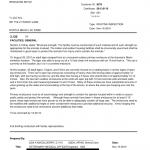 Investigations, violations and injuries. Antle has a 20+ year history of USDA and/or state agency investigations and/or violations including hitting tigers, injuries, transporting animals without proper health tests and papers and containing them in areas that were too small, unclean, unsound and/or inadequate. A chronology of those violations appears below. Breeding ligers and tigons and color variations. Antle is known for breeding hybrids between lions and tigers and color variations that do not occur in nature and have no conservation value according to experts. Their only apparent purpose is to draw visitors to see what in our opinion are freaks. Helping conservation? Antle is a clever marketer who positions himself as making a significant contribution to conservation in the wild. Visitors are given literature that may cause them to think that Antle makes a significant contribution to conservation. Antle claims to have a “nonprofit grassroots organization” called the Rare Species Fund that donates to conservation in the wild. In our search, we were unable to find an entity of this name listed as a nonprofit by the IRS. We were not even able to find an entity with this name in South Carolina Secretary of State records. It appears to be simply a fictional name Antle uses. Antle’s brochure claims RSF is “among the world’s most effective conservation agencies.” The literature says that since the founding of RSF in 1982 it has provided “more than $200,000 to wildlife conservation effort.” This comes to less than $10,000 each year on average. This is likely to be a tiny fraction of the amount Antle makes from his for profit tours and animal handling fees. 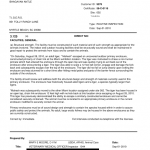 We are unable to find any financial reporting or disclosure related to this alleged entity. One of the groups Antle’s literature says he works with as part of his alleged conservation work is the Feline Conservation Federation (FCF). This is a group that advocates the private pet ownership of exotic animals that we believe leads to many animals living in what we consider to be miserable conditions and creates danger to the owners and public. Tiger escape. Antle used to also keep a few tigers and other animals at Jungle Island in Miami. 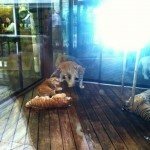 In August 2010 one his tigers escaped, sending visitors scattering. Fortunately the tiger was recaptured without anyone being attacked, although a news report indicated four people were treated for minor injuries. Antle was cited by USDA twice in the months following the escape for continuing to keep tigers in an inadequate enclosure. It appears from our research that by January 2012 he had transferred ownership of the animals to another licensee and did not renew his permits to keep animals in Florida. Lies regarding critics. Because exploiters of tiger cubs have no true basis for justifying their mistreatment of the animals, they typically try to discredit critics with false statements about the critics. Antle is no exception. 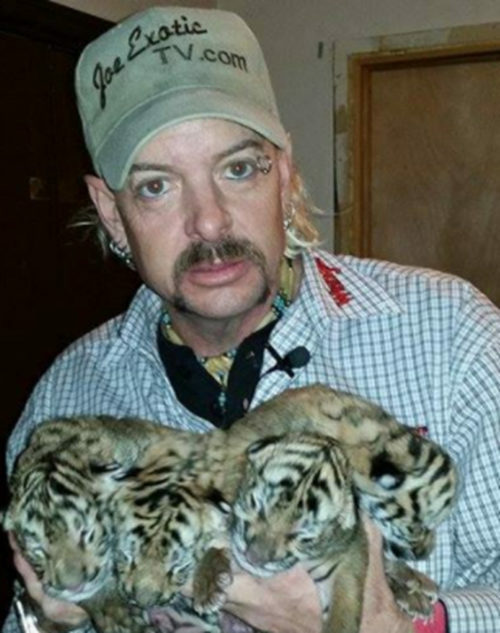 Big Cat Rescue in Tampa has made exposing what we view as abuse of tiger cubs a priority. In response, Antle makes false statements and points to websites set up by other exploiters containing false statements about Big Cat Rescue and Founder Carole Baskin. Among his lies have been claims that he is the copyright holder of photos Big Cat Rescue posted to expose his operation. When challenged under the provisions of the Digital Media Copyright Act, Antle was unable to back up his lies and the images were reinstated. What is it like to work at T.I.G.E.R.S.? Nov 16, 2010 cited again for tiger enclosures that were no different from the one that enabled an escape in Aug 2010. Sept 10, 2010 cited for failing to house the tiger who had previously escaped in a cage that was any different from the one he had escaped from on Aug 28. Aug 28, 2010 Visitors to Miami’s Jungle Island were treated to a scarily authentic experience when a tiger sprang from its pen at the tropical tourist attraction. Hundreds of terrified guests ran for safety when the big cat, known as Mahesh, broke out of its enclosure. According to MSNBC, the 3-year-old tiger spent an hour enjoying its newfound freedom before being recaptured. June 8, 2010 failed to have a person of legal age available at Miami’s Jungle Island site to let the USDA inspect the facility. A drug-smuggling ring that killed an informer and cut up his body while trafficking in a half-million pounds of marijuana has been broken, the Federal authorities said today. The ring also bribed police officers to protect their operation, said Richard Gregorie, the chief assistant United States Attorney here. At one time, the indictment charged, members of the ring used Miami police officers to collect, count and disburse drug profits. The ring operated for at least 10 years, smuggling the marijuana, along with some cocaine, into Louisiana and Florida, Mr. Gregorie said. Six of the seven people indicted in the case were arrested here by a special Federal law-enforcement group combatting drug smuggling. The seventh was in custody in another state. $50,000 Caught by Agent Among those arrested were the men who the authorities said headed the ring, Mario Tabraue and his father, Guillermo. When the men were arrested at their homes in Dade County, Mario Tabraue’s wife tossed a bundle of $50,000 in cash out the back window, said Lloyd E. Dean, an agent of the Federal Bureau of Investigation here. The money was caught by a Federal agent, Mr. Dean said. December 1994 Antle was fined $1000 for transporting a bull and cow without proper health tests and papers. He was also cited for night boxes that were too small for zebras, wolf hybrids and tigers. July 6, 1994 US Department of Agriculture investigation for failing to supply proper travel papers in Kodak, TN in Sevier County. Antle was also associated with a second investigation into the legality of whether interstate transportation and exchange of baby tiger cubs. Antle was also under investigation because one of his tigers bit a trainer who was visiting Antle’s Buckingham Zoological Park in Virginia. May 1992 Sharp wire was at the top of the zebra fence. Nov 1991 An electric cord from a space heater dangled within reach of an elephant. Oct 11, 1991 charged with hitting his tigers in Carver, MA in Plymouth County. Antle and his handlers were seen hitting wild cats at a fair according to the Animal Rescue League of Boston. Antle stated he hit the tigers when they became too aggressive. Another investigation found that Antle allowed people to have their pictures taken with the animals, failed to list a cougar among the animals he brought to the state and had overstayed his permit according to Tom French, assistant director of the Massachusetts Division of Wildlife. Antle at that point was asked to leave Carver, MA within 24 hours. According to one report, Antle returned to Massachusetts without the knowledge of wildlife officials under the guise of other company names, and at the time that led the Massachusetts wildlife department to declare that it would not issue any more permits to Antle. However, they apparently have, since he reportedly has been performing at a fair there for decades. Oct 9, 1991 lion named Arthur bit a model during a photo shoot requiring 50 stitches in Manchester, NH in Hillsborough County. Antle allowed a Konica lion named Arthur to pose for pictures with a Bedford, NH model. Shannon Audley, 23, of Bedford, NH was injured when the 6-year-old lion opened its mouth and clamped down on one side of her head. Audley’s head was cut, and she was admitted to Catholic Medical Center where she needed more than 50 stitches to close the wounds to her head and was hospitalized for about 5 days. Audley also had to undergo a series of rabies shots because Antle left the state with the lion and it couldn’t be determined if the lion had received a rabies vaccination. Audley was awarded $75,000 in her lawsuit against Antle, under a default judgment. A default judgment is entered when a defendant takes no action to contest a claim against him. Audley was seeking $250,000. Audley also filed a suit against Bill Melton, the Manchester, NH photographer, but the court dismissed that action. Antle claimed the model was cut falling off a platform. Sept 1991 The pit of a young zebra was called inadequate and exposed nails were found in animal enclosures in at least 2 inspections. Aug 21, 1991 Antle was assessed a $3500 penalty to avoid litigation over 7 alleged violations, including animal enclosures that were unclean and structurally unsound and supplying incomplete travel and identification records. He did not have to admit innocence or guilt as a result of the order. Kodak, TN in Sevier County As of July 14, 1994 the penalty has not been paid. 1991 Antle came home from his tiger roadshow to an outstanding misdemeanor warrant issued by the Tennessee Wildlife Resources Agency. It charges him of letting a tiger come in contact with the general public at a 1990 bodybuilding contest in Sevierville. It was served on him and carries a $50 fine if he’s convicted. August 29, 2010 Miami, FL: Visitors to Miami’s Jungle Island stampeded over each other to avoid an escaped, 3 yr old, 500 lb. tiger named Mahesh. A monkey escaped while being transported through the zoo and 500 lb. Mahesh bounded over the 14-foot fence into the public area according to the Miami Herald. 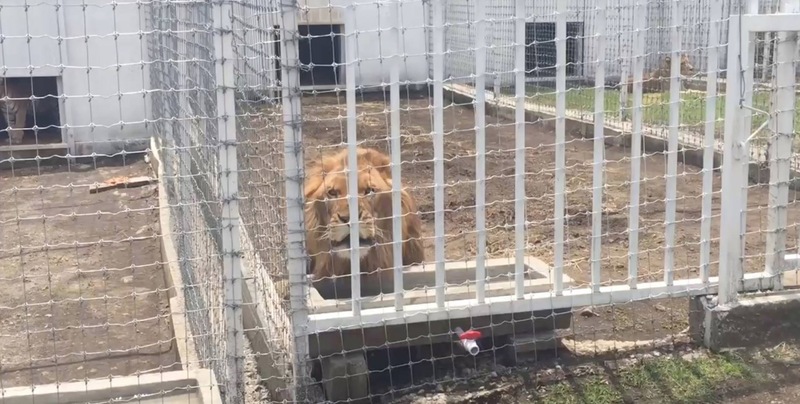 The attraction’s three big cats — which include a liger and a white tiger — have been confined to a “night kennel,” while the park investigates. “We were really scared. There were people crying,” Miami mom Dorothy Evans told the Herald, adding that people knocked each other down as they sprinted toward the shelter. “People were running for their lives,” Larry Rhodes, 46, of Pompano Beach, told the Sun Sentinel. Miami Fire Rescue Lt. Ignatius Carroll told the Herald that several people were injured while running, including a mother who fell on top of her 15-month old baby. Another guest was taken to a Miami hospital after suffering a panic attack. Bhagavan (Kevin) Antle, who also owns T.I.G.E.R.S. 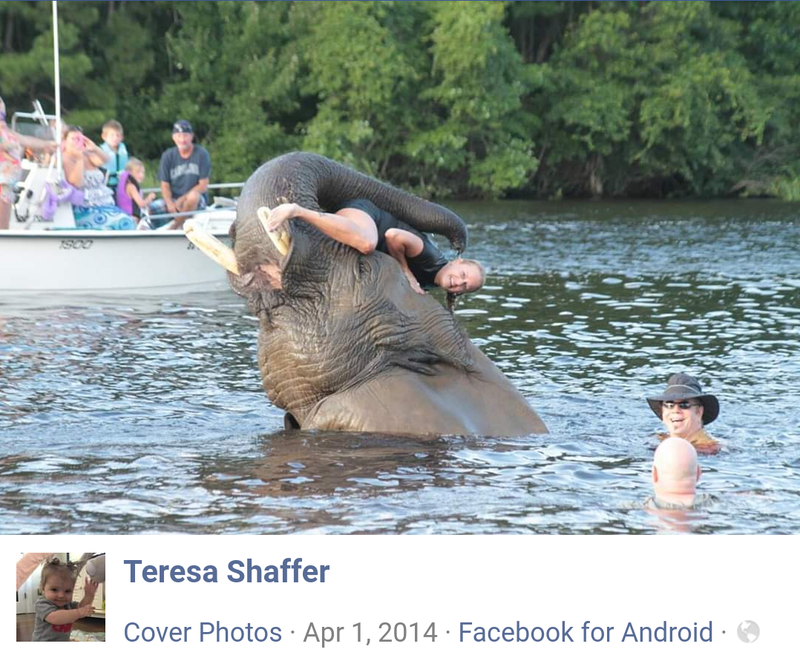 in Myrtle Beach, SC and who is the owner of Mahesh, was charged with one count of maintaining captive wildlife in an unsafe condition, resulting in threats to public safety. Park owner Bern M. Levine was charged with two second-degree misdemeanors for conditions resulting in the animals’ escape. The charges for both men have a maximum penalty of $500, FWC officer Pino said. Source Time and others. Antle Claiming to be an M.D. Antle, 34 and his high-profile business are in the middle of an ongoing animal-rights debate. Antle, whose full name is Mahamayavia Bhagavan Antle though he has gone by the name Kevin, is an animal trainer who supplies trained animals for advertising, commercials, film work and shows. He opened the park on Bryan Road within site of Interstate 40 in late May. It is open to the public. It houses dozens of animals ranging from tigers to lions, to wolf hybrids, an elephant, primates and some deer. Antle said he also has some animals in Korea, where he has been working on a show involving trained animals for a resort. Animal-rights advocates say he routinely doesn’t follow federal animal welfare regulations. Among the charges leveled by regulators and animal-right groups are that Antle doesn’t provide proper shelter for the animals, doesn’t give them enough access to water, gives incomplete records to federal and state officials and allows the public to come in contact with the dangerous animals. Animal-rights activists said Antle cares little about the animals or the public. They believe Antle beats, mistreats and drugs the animals to make them act domesticated for commercials, television, movies and his shows. “He’s out there to make money and that’s all he’s out there for” said Sue Pressman, a West Virginia zoo consultant who helped write the Animal Welfare Act and who gave a critical inspection report of T.I.G.E.R.S in August 1991. “He needs to go to jail” stated Pressman. But Sue Pressman, a consultant for P.A.W.S., the Performing Animal Welfare Society who toured T.I.G.E.R.S. on Aug. 3, said it was rife with violations of the Federal Animal Welfare Act. “We went through and there were lots of problems,” said Don Elroy, co-director of the Tennessee Network for Animals, which invited Pressman to the area. She is a former longtime director of Captive Wildlife for the Humane Society of the United States. Among the problems Pressman said she found were a host of sanitary (violations, a dangerously low perimeter fence that might allow animals to escape, a fence enclosing tigers that is configured in a way that could allow the cats to climb out and an elephant chained without shade and water. Elroy said there are also questions the group has about the registration of some of Antle’s animals. He said a lot of the problems are already laid out in previous USDA inspection reports of the facility. “We want to see some demonstration of compliance,” Elroy said. “He’s not trying to improve the facility.” Elroy also questioned how the USDA could give Antle a license until he was in full compliance with all regulations. Antle, however, countered that T.I.G.E.R.S. 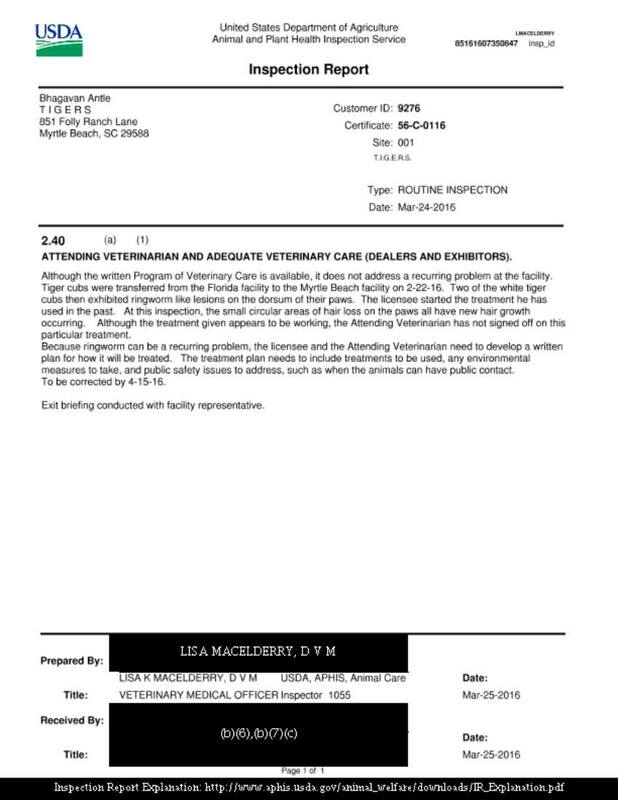 was licensed by the USDA in May and that USDA veterinarians were back inspecting the facility only a few days before Pressman was there. He said that groups like P.A.W.S. are against him no matter what. “No matter what our facility looked like, the lady would have complained,” Antle said. He also displayed the USDA exhibitor license for T.I.G.E.R.S. 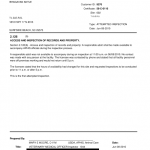 and copies of USDA inspection reports on May 21, 1991, and July 16, 1991. The USDA inspection report on July 16, which Antle provided to a reporter, lists two pages of handwritten recommendations of corrections. Inspection reports dating back to 1988 for Antle-owned facilities – he also owned Buckingham Zoological Park in Buckingham, Va. – have similar lists. Despite all of this Antle has never lost his license to exhibit animals. The article also found no evidence that the educational institutions Antle claims to have earned “doctorates” from ever existed, and reveals his longstanding pattern of carelessly risking the safety of volunteers, staff, and the public, repeatedly lying and changing his stories, and breaking promises to pay for his staff’s expenses. Kevin Antle boasts that he has “trained and worked with animals all over the world” and that it will be “wonderful” when he opens his zoo in Cheatham County. But investigations by the U.S. Department of Agriculture paint a different picture, raising questions about how he treats animals and how he protects his visitors from his more dangerous pets. Antle, a 29-year-old trainer, pooh-poohs a current USDA investigation, saying it is a minor matter about “just two peacocks and two deer” he left in the hands of a caretaker. USDA regulatory enforcement and animal care inspectors confirm there is a pending investigation but refuse to give details. Yet USDA files obtained by The Tennessean through a federal Freedom of Information Act request show past allegations of a visitor being mauled by a tiger at Antle’s Virginia Buckingham Zoological Park, contamination of animals’ food and impediments in animals’ living conditions. All this comes as Antle and Mike Stuart, who has raised exotic animals here in Tennessee, prepare to open the Cheatham County zoo next month. Antle and Stuart surprised Nashville residents last fall in announcing the zoo; Nashville Zoological Society had already been involved in a lengthy process to begin work on its zoo, which is not scheduled to open until 1992 at the earliest. The announcement in fact set off a war of words between the Cheatham County zoo owners and members of the Nashville Zoological Society, with director Connie Cloak calling the new zoo a “chain-link menagerie.” Stuart and Antle accused Cloak of trying to “recreate Disneyland” with the society’s proposed zoo. Yet the Tennessee Wildlife Resources Agency granted the Cheatham County zoo a permanent exhibitor’s license in January, according to Jack Murray. He said any USDA investigations do not play a part in granting the license because the agency is required to grant a license for any facility that meets state regulations. By far the most serious claims against Antle in the USDA’s file involve the complaint of Clinton Baron, then from California, who told USDA inspectors that Antle allowed a tiger to seriously maul his hand when he visited the Buckingham park in February 1986. Baron told the USDA he visited Antle’s Buckingham park to see about jobs for two women he knew. Antle told officials he hired Baron to work on a show in Florida. Arriving at the park, Baron initially expressed concern that a keeper was ordered by Antle into a “12 foot by 12 foot cage” containing two fully grown Siberian tigers. Antle held both cats by the hair, according to Baron’s statement, while the “obviously naive keeper . . . unaware of the potential danger and risk of injury should either of the two tigers become aggressive,” raked the cage. The next day, Antle woke Baron, the testimony continues, and told him to meet him outside. He dressed and was led by two employees to a field where Antle was walking a tiger. Antle maintained in his statement that Baron began punching the animal. Baron told officials he did punch the animal with a free hand to get the tiger to take his teeth out of Baron’s other hand. “I approached to about 8 feet from his tiger and he directed me where to stand,” said Baron. “I protested his allowing his cat near me and raised my left hand between the cat and myself. Baron said he packed his hand in snow and insisted that Antle drive him to the hospital. According to Baron, Antle told him he could treat the wound with “herbal medicine” at his house, but then finally agreed to take him to the hospital. Antle said he only dropped Baron off at the hospital, but Baron told authorities that Antle himself told the receptionist that Baron caught his hand in the gate. Although Baron contended Antle promised to pay all medical expenses, he said Antle then refused any assistance. Antle said the USDA cleared him of the charges, but what USDA’s Office of General Counsel reported was that the incident was inconclusive because Baron was a visitor and Antle was not exhibiting the animal to the general public. The report further stated that without witnesses, the exact nature of the incident could not be determined. However, the USDA did send a warning to Antle to use care in showing animals. Baron filed a $500,000 lawsuit in Buckingham County seeking damages from Antle. Antle said the matter is closed. The Buckingham County Circuit Court clerk said the matter is still pending, although the last entry is the withdrawal of Baron’s attorney, Gary Coates of Lynchburg, from the case. Coates would not comment on the case, except to say one of the reasons for withdrawing was his inability to locate Baron. Attempts to reach Baron were unsuccessful. Antle blames most of his troubles with the USDA on the department’s reluctance to “understand” the nature of his business. Much of his business involves traveling with his animals and doing commercials, he said, which kept him away from Buckingham when USDA dropped in. USDA inspection reports, however, record past trouble getting the itinerary for the menagerie and getting records of the animals when department officials visited. USDA is authorized to regulate and enforce animal care and welfare. An Office of General Counsel spokesman said a pattern of violations, such as Antle has, could lead to more serious charges, including fines and possible suspension of license. But USDA inspectors refused to say if the pattern of violations is part of their “pending investigation” of Antle. Antle refused to call the current matter an investigation and said it merely involves the deer and peacocks on the Buckingham property, which he said a caretaker looks after. Mike Stuart, who co-owns the zoo in Cheatham County, has no record of violations with the USDA, officials said. The brochure on the new zoo says Antle greow up on a huge ranch in Arizona, where he first learned to care for animals, and was later educated abroad. The name Bhagavan, by which Antle is known on official USDA documents, was a “name on my mother’s side of the family,” he said. Antle said he started using the name Kevin because he did not want to be confused with Bhagwan Shree Rajneesh, the late guru whose followers took over a village in Oregon. Antle, who lists himself as having a doctorate, said he has documents showing his degrees from the British College of Natural Science in Poole, England, and the Chinese Science Federation. The library in Poole had no record of the institution there, which Antle said closed in 1984. The British Ministry of Education said it also could not find evidence of the school. It did not have a royal charter, an official said, although until 1988 independents did not necessarily have to register anywhere. The law was changed then to ensure that only registered schools could give out degrees, the official said. “Getting a degree abroad is different than it is here,” said Antle. Valeries Graves, originally from San Diego, considered a job with Antle but discovered he required a two-year contract. She said he promised to pay all her bills, including her car and credit cards, with the stipulation that they be available to the zoo. She said Antle told her he would give her spending money if she needed it. Antle denies promising her a job, although he said he does require a “two-year apprenticeship” because “I’ve had too many people leave on me.” Yet Graves could not get Antle to return her belongings, including winter clothes, she had sent to Buckingham in anticipation of taking the job. She said she was told there was never any room on the truck when employees were moving from Virginia. Meanwhile, work continues on the new zoo.